Unlike moving household goods, there are many complications when moving your office. Your office from one location to another and you need to make sure that this process causes the least disruption to your operations. You need to make sure that your customers are attended to without fail even during your move. When you approach Fast Freight Forwarding Company for your office packing Ontario needs we will relieve you of the undue pressure that is normally associated with office packing and moving and you can focus on your business operations. Fast Freight Forwarding Company is very systematic in offering its moving services and office packing in Ontario. We have been in this industry for over 35 years and over the years we have perfected all our processes to ensure fast and hassle free services to our customers. We take pride in being the number one service provider in the Ontario transportation and logistics industry. When you approach our company with your office packing needs we will provide you with a custom quote based on your office packing Ontario requirements. We will not impose any rigid transportation packages on you; you just need to pay based on your specific requirements. Business moving and office packing for Ontario clients need not be expensive as we will find you the most cost effective solution. As an experienced transportation and logistics company in Ontario we can guarantee 100% customer satisfaction. 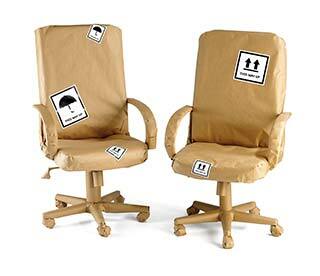 All of your office goods, including expensive equipments will be safely packed and transported to the desired location. All of your goods will be delivered to you on time. You will not run into unnecessary delays because we always use well maintained vehicles for all of our moves. We have a long list of happy customers, credible history and good reputation that vouch for our satisfactory services. Do not hesitate to contact us, you will certainly not regret choosing our transportation solutions for your office packing needs.